Integrate CX5 kik cylinders with DOREX GX1A deadbolts to meet ANSI A156.5 Grade 1 requirements. 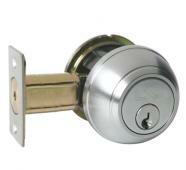 The GX1A deadbolts have a standard backset 2 3/4 inch, with 2 3/8 inch (optional). They can be used on doors upto 2 1/4 inch door thickness with a longer spindle and screw kit option. 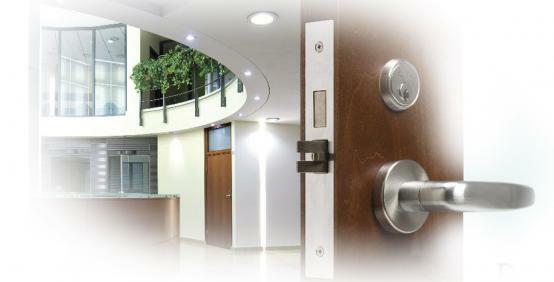 The GX1A deadbolts have a 1 inch throw and UL listed for use on fire doors. CX5 Cylinders may be integrate with all DOREX commercial keyed product, including Grade 1 & Grade 2 Cylindrical and Mortise Locks, Exit Device Trims and most other commercial and residential door hardware with a keyed function.